No. You don’t need to worry! You are not seeing double, this is just the second part of a double review about the first two samples of Chocolate Naive’s dark origin bars I received. 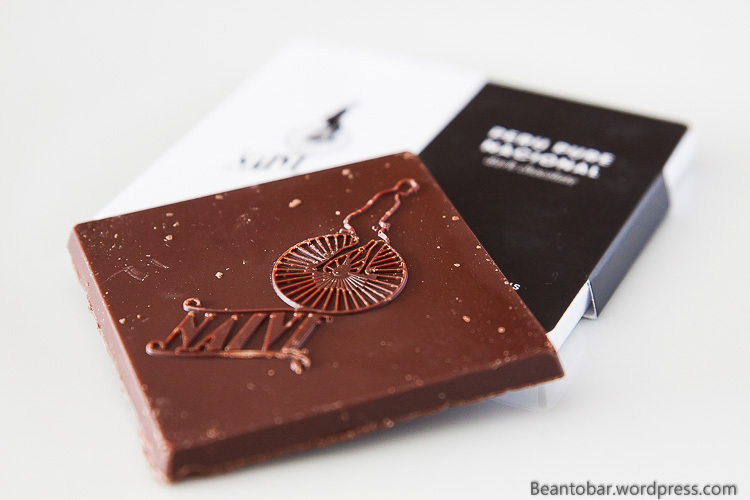 You’ll find more info on Naive in my post about their Trinidad and Tobago bar just below. This time I focused on the little black square. Peru Pure Nacional. A 78% chocolate, roasted at a medium level and conched for 60 hours. This time the cacao beans originated in Peru. The Nacional variety of cacao (part of the Criollo family) is grown with in the Marañón Canyon in Peru and are regarded the purest DNA cacao beans, according the extra info on the sleeve of the sample. Anyway, the aroma coming from this little square of chocolate blew me away right away! Powerful and enticing. Color: Though higher in cacao content and longer roast than the Trinidad & Tobago bar, it surprisingly has a more a medium brown color. Aroma: Cinnamon, smoked wood and sweet cacao. Taste: a drier but still sweet start takes you to a more robust chocolate flavor, combined with deep wood tones without becoming bitter or overwhelming. Underneath the main flavor, a red berry aroma flows along without taking control. It gives the flavor that little punch of freshness to make it really enjoyable. 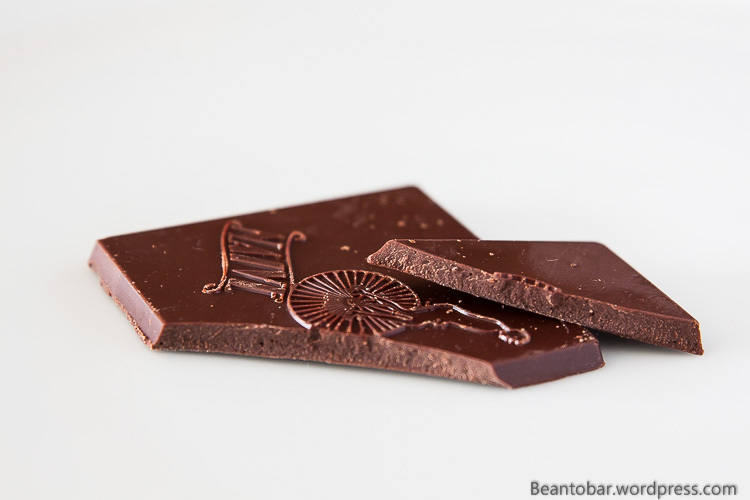 The chocolate melts slower and has a better texture than the Trinidad and Tobago and adds light coffee tones to the aroma near the end of the melt. The aftertaste reveals a nice warm vanilla aroma, floating on the warm woody tones and provides an exceptional length. 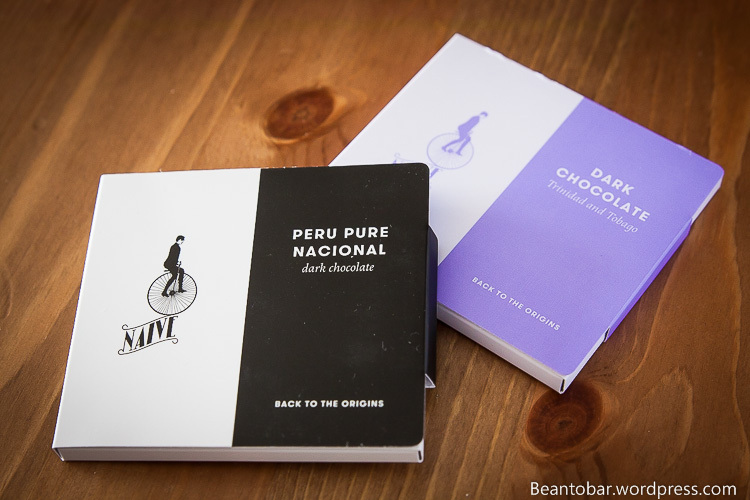 The Naive Peru bar is a great, powerful chocolate with a perfect balance between taste, sweetness and robustness. 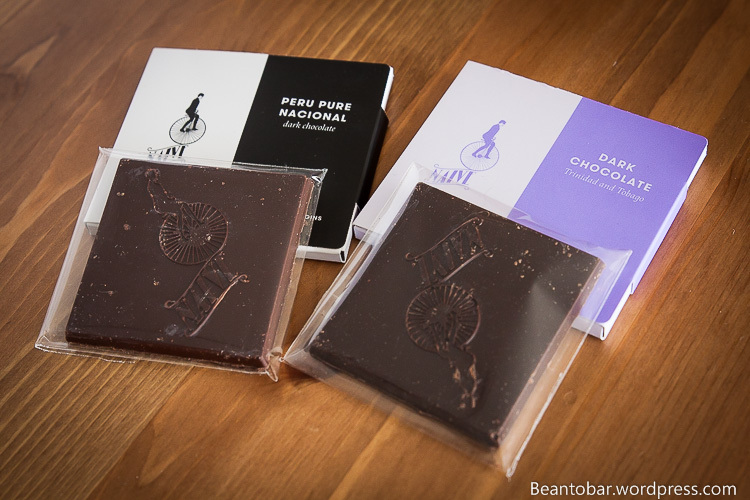 If I had to choose between the two samples, this Peru bar is the clear winner, as it comes very close to all the things I like in a quality dark chocolate bar. I especially love how Chocolate Naive seems able to control the nervousness of a higher cacao percentage. Wonderful!